"The mission of the Undergraduate Student Government is to enrich the lives of the Undergraduate Student Body through advocacy and programming. We will strive to help student organizations reach their fullest potential through new and continuing initiatives, programs, and resources. 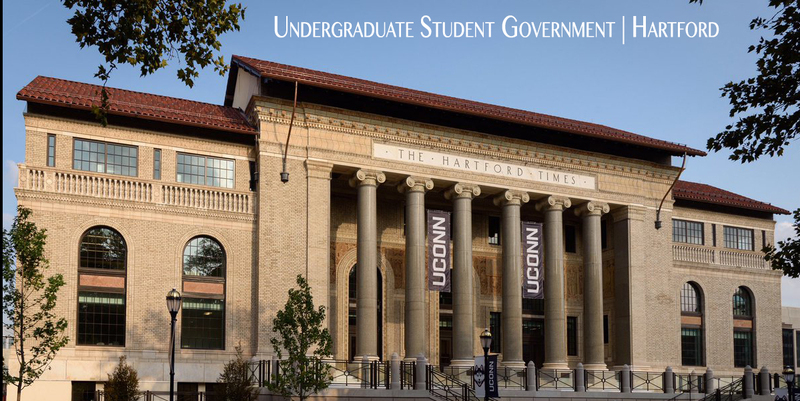 We will strive to enhance the educational, social, and cultural opportunities at the University of Connecticut, Hartford campus. We will strive to foster an inclusive and collaborative culture of engagement." Meetings are held every Wednesday from 4:30 pm to 6:25 PM in room 216 in the Hartford Times Building. Stress is everywhere! Stop by to learn how to de-stress and what resources are available on the Hartford campus. Stress balls provided! Stop by this interactive table with questions about sexual health or stop by for supplies. We offer something for everyone as we know not all students are sexually active. USG executive members meet weekly to discuss upcoming meetings, and planning for the rest of the semester. The Programming Committee meets weekly to discuss and plan events for UConn Hartford Students. The Advocacy Committee meets once a week on Wednesday to discuss events on diversity and inclusion and campus life/needs.